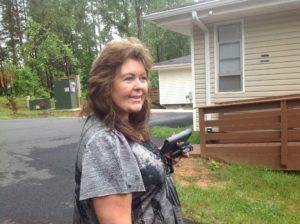 Homelessness is not just a problem in our country it is also a problem in Lumpkin County. There is no way to accurately determine how many homeless people there are in Dahlonega, but our public school and law enforcement officials can attest that the need to house people without homes is great. At North Georgia Interfaith Ministries we believe that even “ONE” child without a space to call their own is “ONE TOO MANY”. The causes of homelessness are many — insufficient income, unanticipated eviction, emergencies, poor financial practices, lack of affordable housing. Homeless people stay with relatives, in their cars, in tents, and under bridges. We help people in need of transitional housing at Jeremiah’s Place. We provide our families with a clean, safe and stable place to live while they “reset” their lives. In 2016, all tenants had places to go after leaving Jeremiah’s Place.